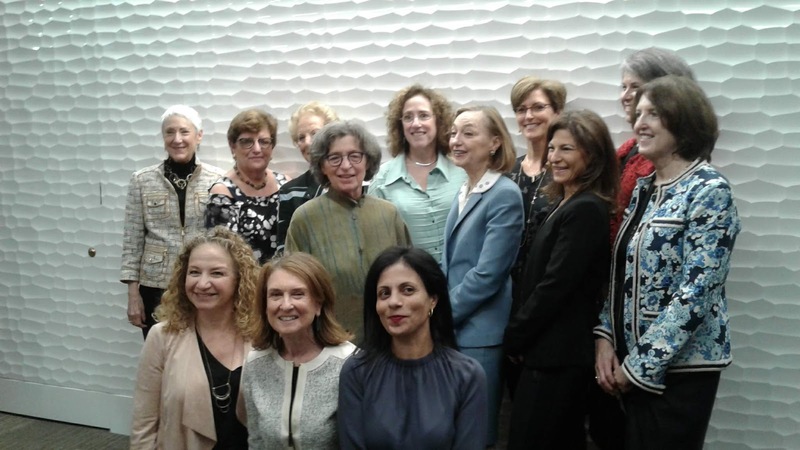 Earlier this month, the Foundation hosted its first-ever luncheon for its Board alumnae, as part of its "Chai Year" celebration of 18 years of grant making. 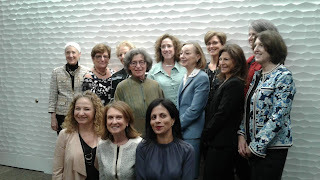 Our dedicated Board members (pictured above, and alumnae, top) are permitted to serve for a maximum of six years--which means we have a powerful collection of alumnae! The luncheon was a great opportunity to renew old friendships and create new ones, all while learning about the current work of the Foundation. A highlight of the gathering was a presentation by Prof. Yifat Bitton, the founder, chairperson, and senior attorney at Tmura – The Israeli Antidiscrimination Center, which fights for the rights of women who have suffered sexual, physical, and economic abuse; she is also a professor at the Striks School of Law at the College of Management in Israel. Prof. Bitton, a former winner of the Foundation's Bernice S. Tannenbaum Prize, is also a two-time nominee for the Israel's Supreme Court. 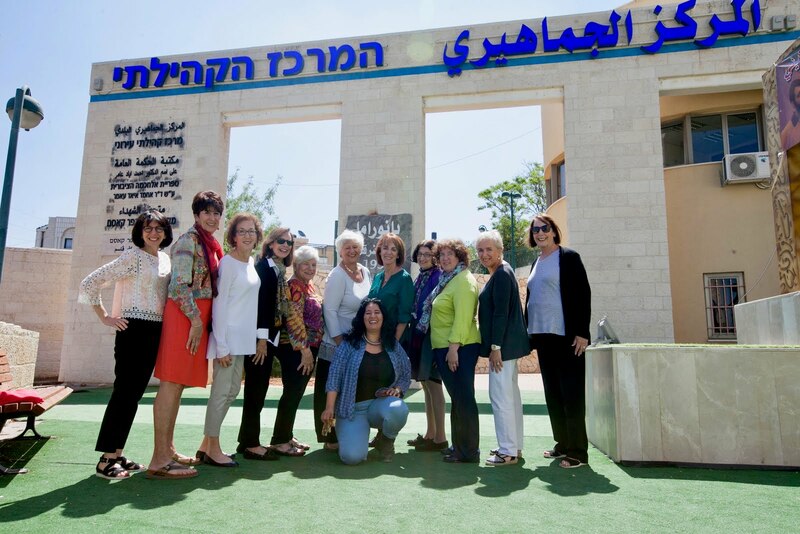 Congratulations to the seven current and former Hadassah Foundation grantees included in the 2018 edition of the Slingshot Fund Guide! The annual guide highlights the most innovative organizations in the Jewish community, and provides additional visibility to these nonprofits and the causes they support. The six Foundation-affiliated groups in the national edition of the guide are: Hazon, jGirls Magazine, Keshet, Mayyim Hayim Living Waters Community Mikveh, Moving Traditions, Yeshivat Maharat. Another grantee, AVODAH, was cited in a separate guide that highlighted outstanding Chicago-based groups. Mazel tov! The guides can be downloaded here. The Tishreen Association, which works with youth and women in the southern Triangle region of Israel, is opening up a world of opportunity for Arab-Israeli women who are participating in the Foundation-funded Women's Economic Empowerment program. The Triangle--a concentration of Israeli-Arab towns in the central part of the state—is not far, as the crow flies, from several major population centers. But for many residents of these town, and in particular, for the women, these cities, and the economic opportunities that they offer, might as well be on another continent. Many of these women have never worked outside the home, due to family obligations, local cultural norms, and poor public transportation. In addition, many lack the Hebrew language skills that are necessary for employment. To compound matters, local opportunities for jobs are quite limited—the area, which has a poor educational infrastructure and a high crime rate, also has one of the highest unemployment rates in the country. For the past two years, the Hadassah Foundation has supported Tishreen's efforts (in partnership with Naamat, the largest women's organization in Israel) to provide job-readiness skills, basic computer skills, and Hebrew language instruction to local women. They also place the women in jobs—including as cashiers, cleaners and day care workers—in both Arab-Israeli and Jewish-Israeli towns. Graduates of the program remain connected and supported via an employment club, which includes those seeking jobs as well as those who have already been placed. 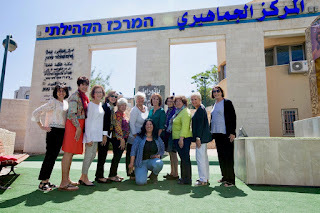 When the Hadassah Foundation visited the program last year (pictured above), Board members were moved by the first-hand testimonies of women who said that the program provided them with a sense of agency and hope for a better future. In an evaluation of the program, one of the participants told Tishreen: "This course it is the best thing that has happened to us. We are productive and we, and those in our lives, notice that we are gradually developing and becoming more capable." I had the honor of speaking to the next generation of Jewish women leaders at Sunday's Graduation Ceremony for the Rising Voices Fellowship, a program of the Jewish Women's Archive (JWA) that is supported by the Hadassah Foundation, where I serve as a Board member. Launched in 2013, the JWA's Rising Voices Fellowship (www.jwa.org/risingvoices) is a national program for female-identified teens in 10th-12th grades who have an interest in feminism, Judaism, social justice, and writing. The Fellowship teaches teens how to develop authentic voices, strengthen their leadership through writing, and influence important conversations in the Jewish community. I found this year's cohort to be sophisticated, intelligent, and thought-provoking leaders. This group came from New York, Massachusetts, California, Pennsylvania, Florida and Arizona. I was particularly impressed with their discussions about the female role models in their lives (including their mothers and grandmothers, and female rabbis and cantors) and the impact these women had on shaping the thoughts of these young women regarding feminism, activism and leadership. It's clear to me that this group will be influential feminist leaders at their colleges and beyond. 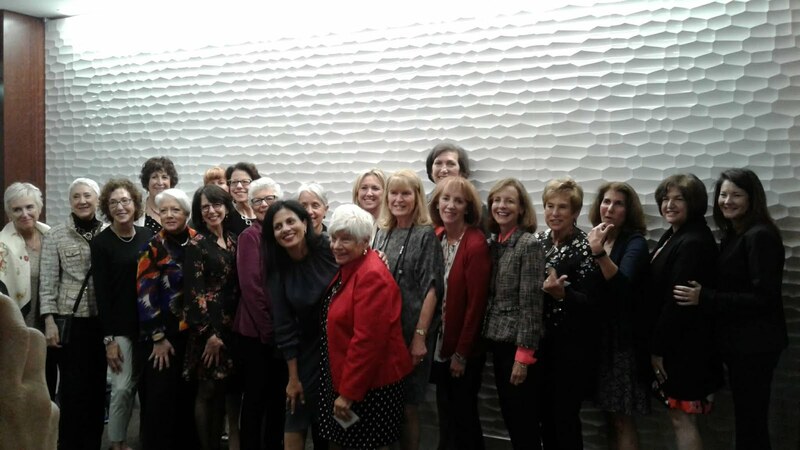 JWA is a national organization dedicated to collecting and promoting the extraordinary stories of Jewish women. JWA's website, jwa.org, is the world's largest collection of information about Jewish women, drawing more than 1.6 million visitors a year from all over the world. JWA also hosts public programs, sparks conversations through its podcast and blog and on social media, offers acclaimed educational programs, and is a leader among feminist, Jewish, and historical organizations. I am proud to be a former Board member and Treasurer of JWA; I currently serve on its Finance and Investment Committees. I'm so proud of the girls I met, and am honored to serve on the Board of the Hadassah Foundation.